Martens Demolition Company is since 1989 actively involved as ‘playing partner’ in the execution of large scale demolition and dismantling projects, On- as well Off Shore, asbestos removal, ground sanitation and recycling of valuable materials, both nationally and internationally. 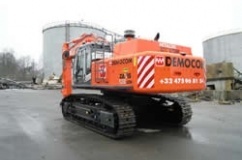 With subsudiaries in Belgium, The Netherlands, Luxemburg and France we got the best suitable people with the right machines on the demolition sites in Europe. We operate under a single flag we are able to combine our experience and expertise to enable us to serve you in all areas. Since we are VCA-P, ISO 9001 and ISO 14001 certified, and all our employees have benefited from the best training, we can consistently guarantee the top quality of our services. 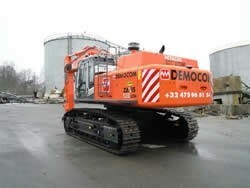 In 2013 the UK based company Heavy Decom International was bought. 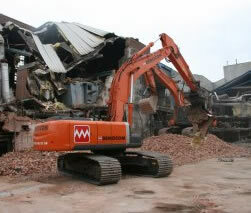 Heavy Decom International are specialist in their field of demolition, decommissioning and wreck removal.